Methadone treatment is now common throughout the UK and overseas since it is prescribed for people suffering from heroin addiction. Methadone isn’t always a positive solution as users find themselves hooked on a new drug which just replaces an old addiction. With the right help and some dedication, you can overcome an addiction to methadone. A methadone clinic is rather like most drug clinics in that you go through a detox phase, as well as group counselling and one on one counselling. If you think you or a member of your family or even a friend is suffering from methadone or heroin addiction there is help available to you. Methadone Hydrochloride is an opioid (a synthetic opiate) that was originally synthesised by the German pharmaceutical company Axis during the second world war. It was first marketed as ‘Dolophine’ and was used as an analgesic (a painkiller) for the treatment of severe pain. It is still occasionally used for pain relief, although it is more widely used now as a substitute drug for people addicted to other opiates (primarily heroin). 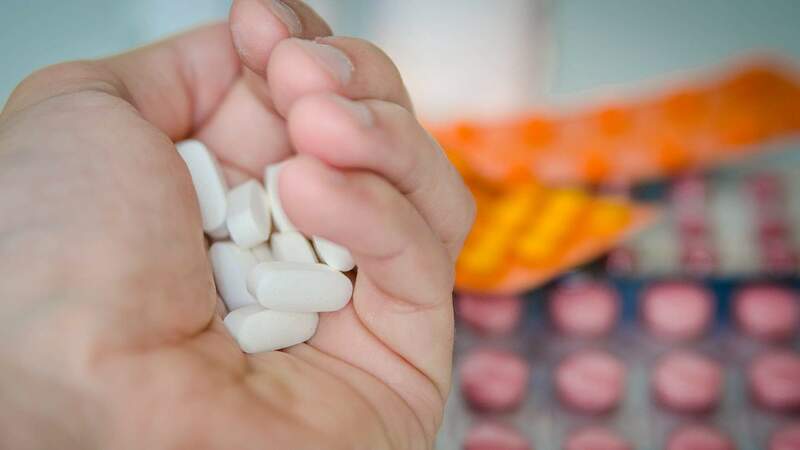 When methadone is prescribed to people addicted to other opiates (primarily heroin), the guidelines for the dosage are that enough should be given to prevent physical withdrawal symptoms – when you are prescribed methadone it is not supposed to give you a buzz, or get you high. If you take methadone orally (mixture or linctus), it will take around thirty minutes before you feel the effects. If you are using injectable methadone (Physeptone) then the drug takes effect much more rapidly. As an opiate, regular use of methadone causes physical dependency – if you’ve been using it regularly (prescribed or not) once you stop you will experience a withdrawal. The physical changes due to the drug are similar to other opiates (like heroin); suppressed cough reflex, contracted pupils, drowsiness and constipation.Some methadone users feel sick when they first use the drug. If you are a woman using methadone you may not have regular periods – but you are still able to conceive. Methadone is a long-acting opioid; it has an effect for up to 36 hours (if you are using methadone you will not withdraw for this period) and can remain in your body for several days. Methadone is a very powerful drug, and individual doses vary for each person. If you are using methadone that you have bought illegally be aware that you could overdose on an amount that would seem ‘normal’ to somebody else – especially if you are not using opiates regularly, and therefore have a low tolerance (it doesn’t take very much to affect you). If you are using methadone regularly – prescribed or not – taking a higher dose than normal or using other depressant drugs (like alcohol, heroin, tranquillisers or sleeping tablets) on top could cause you to overdose. If you do lose consciousness and vomit you may well choke. If you become drowsy you should not try to drive or operate machinery – you could easily have an accident. Methadone is very dangerous for children. You should store methadone where children are not able to get to it – in a high cupboard, not by your bed or in the fridge. If a child does swallow methadone they should be taken to the Accident and Emergency Department at your local hospital immediately – let the doctors know what has been taken, and if possible at what time and what quantity. Methadone is controlled under the Misuse of Drugs Act 1971 as a schedule 2 drug, that is a substance considered to have medical therapeutic use, and legal to possess only if prescribed by a doctor, and then only if taken in accordance with the doctor’s instructions. Methadone is a Class A drug.